We bet you all know very well this tricky game when a wizard hides a rabbit in one of his hats and the animal magically disappears? Or how he takes a rabbit out of the empty hat? 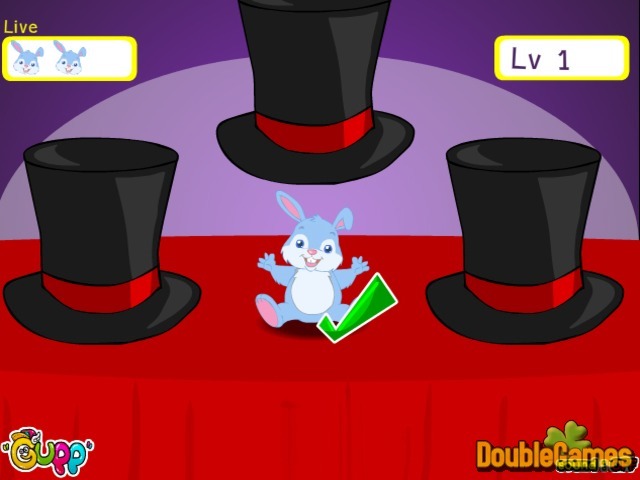 Experience these tricks in new unique and entertaining online game under the title Rabbit In Magician's Hat! Remember the position of a rabbit under the hat and when the hats start spinning you try to guess where the rabbit is! This is gonna be fun, and will help you practice your attention skills. 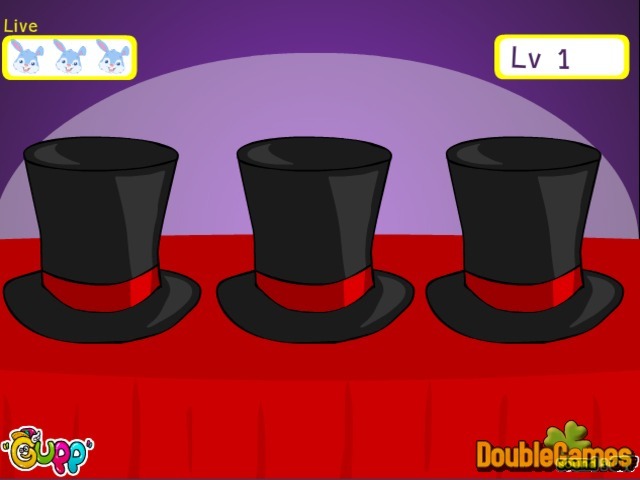 Play Rabbit In Magician's Hat right now and totally for free! Title - Rabbit In Magician's Hat Online Game Description - Glance at Rabbit In Magician's Hat, a Arcade & Action game released by Gupp. You know this tricky game when a wizard hides a rabbit in one of his hats and it magically disappears?